Last week was a pretty hectic one around here. We had a beautiful mini holiday with my family, which we do annually. We hire a house with 4 bedrooms and each little family bunks in together for the long weekend. It's always so fun, and we feel so lucky to still have family holidays, even though we all have families of our own. Unfortunately, my sister and nephew were a little under the weather, and by the end of the weekend the little guy was not well at all. To cut a long story short, he is ok now, but we all had such a fright during the week when he came down with a very severe case of croup. To make it even more interesting, he shared it with Annabelle, so we have had our first visit to the hospital emergency department too. Thankfully we caught hers very early as we knew what to look for, so hers is only a mild case, but any parent knows that even the slightest illness in your little ones can turn your world upside down. I have a few things I have been doing to make dealing with a sick baby easier, and I hope to blog about them soon. In the midst of this, I realized that Annabelle has cut her first tooth!!! And she has also learnt to high 5 and wave! She is so close to crawling, but still hasn't quite got the hang of it. We rearranged our lounge room to trap her in, and also are working on concealing cords and electronics from her curious little fingers. To add to the roller coaster of emotions, during the week, we attended a funeral and also a friends surprise birthday afternoon tea. 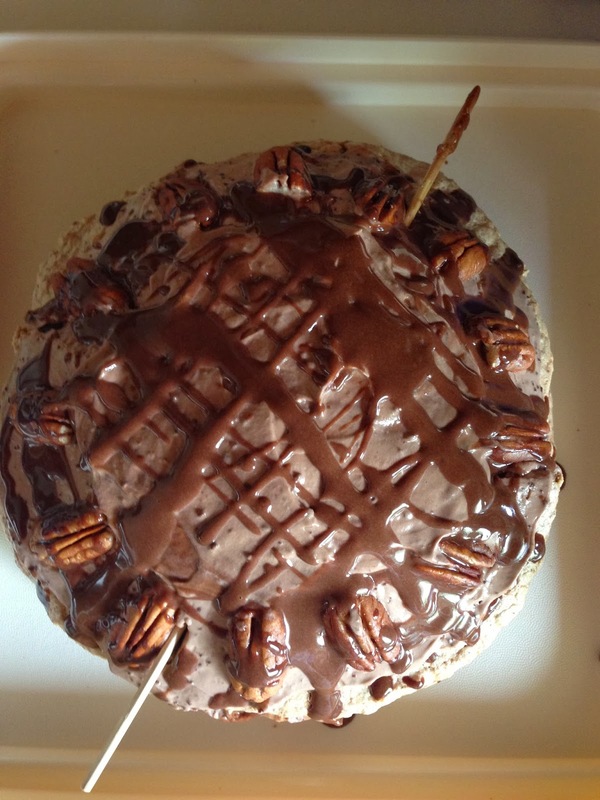 I got adventurous with her cake, and made Tenina's Pecan Dacquoise! So, it has been quite a week of ups and downs, to say the least. I am actually relieved that I have had to cancel all plans for this week to stay home and let Annabelle rest and recouperate.